Why and when to hold gold bullion? "Gold is the proven, quality, long-term wealth store during a slide into deep crisis - the one which everyone else comes to in a bit of a panic. Even if, to begin with, the early buyers are buying gold purely to protect their wealth they still tend to multiply their money, because they are subconsciously anticipating future demand. The best investments do this." People always ask 'But what’s the use of gold?' which encourages some experts to pretend gold is vital for dentistry and electronics. It isn't. The fact is that gold is hardly useful at all in industry, but that certainly does not mean it is not useful at all. So let's explain clearly why gold has repeatedly become one of the most fundamentally useful things there is in human society, and to do that let's first recognize its main quality - its reliably rare supply. Even with modern technology gold is still incredibly difficult to find. In total about 160,000 tonnes of gold have been taken out of the Earth. That 160,000 tonnes is less than you might think. Formed into a single gold cube it wouldn’t quite cover a tennis court. In fact it would be 2 metres short. But that’s all the gold in the world. Gold is being mined at about 2,600 tonnes a year, so the above ground supply is expanding at 1.6% per annum. This newly mined supply means the world's cube of gold - currently 20.2 metres across - is growing by just 11 cm per year. 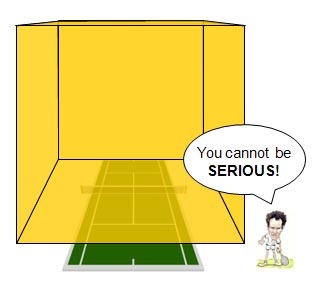 All the world's gold will cover a tennis court when the above ground stock is 205,000 tonnes. This will be some time around 2025. 205,000 tonnes is approximately the sum of the current above ground stocks (approximately 160,000 tonnes) plus the aggregate un-mined known reserves of all the world's gold mining companies (approximately 50,000 tonnes). That's all the world's gold - both above ground, and known about but still underground. Gold is not consumed in any meaningful sense. A tiny amount finds some use as false teeth because of its inertness, and some is used in electronics because of its non-corrosive nature and excellent conductivity. But currently well over 95% of the world's gold is held as a wealth store - either in bullion vaults or as jewelry, which is generally considered a private monetary reserve (particularly in India, the world's biggest gold customer). This stock of gold isn't disappearing, and its supply is growing at a very slow rate (1.6% pa) compared to its overall stock. This feature of a nearly fixed above ground quantity, growing slowly, has been true for about 4,000 years. So you can now see that there exists a large, but not too large, and almost fixed quantity of gold in the world, almost all of which is held by its owners as a tangible store of wealth. That is something which is true of nothing else. By contrast to gold's restricted supply our money systems are currently expanding out of control. Modern loose monetary policies - designed to keep the factories busy - are expanding the supply of currency, under political direction, by at least 11% per annum; and that's for the Euro, the most hawkishly managed of the modern world's major currencies. In such circumstances gold's reliable rarity is again noticed by savers. Its great use is as a money proxy when artificial forms of money (which are far more common) are not being properly restricted in supply. In such times gold's unexpandable supply causes it to be a much more reliable store of purchasing power than currency. Nothing does this job so reliably and so well as gold, because nothing matches the unimpeachable rarity and stability of gold's above ground supply. Better still, as people come to remember and appreciate this unique quality their demand for gold causes not just a retention of purchasing power, but a multiplication of it. Here's a 2,000 year old Roman explanation of a vital tool of trade. "The origin of buying and selling began with exchange. Anciently money was unknown, and there existed no terms by which merchandise could be precisely valued. Every one, according to the wants of the time and circumstances, exchanged things useless to him, against things which were useful; for it commonly happens that one is in need of what another has in excess. But it seldom coincided in time that what one possessed the other wanted, or vice versa. So a device was chosen whose value remedied by its homogeneity the difficulties of barter." Trade is right at the heart of human society, and it creates the need for this 'device' to store value for later exchange. The device needs homogeneity - constancy of form and quantity - which most governments attempt to deliver with paper money, and they are successful most of the time. But when the going gets tough governments bend their own rules. They start to issue more and more money, and then nothing exists which matches the homogeneity of gold. The Romans joined a long list of civilisations which chose gold as a reliable, apolitical, monetary medium. Before them there were the great classical civilisations of the Greeks, Persians, Ionians, and the Egyptians. After them there were many more, through the Spanish, French, Ottoman, British and American empires, all of them with gold based monetary systems. But every single one of those gold based currencies eventually failed - the gold stopped circulating as the money of normal transactions, as currency. So it’s best to avoid the misunderstanding of history which leads so-called “gold bugs” to regard gold as the world’s only true and permanent money, because the hard historical fact is that it has been tested - often - and it both disappears and re-appears, depending on the prevailing economic circumstances. Yet what is different about gold and other forms of money is the way they disappear, and why. Because its natural qualities recommend it as a high quality form of money gold suffers from Gresham’s Law, a common sense law in economics which states that “bad money drives good money out of circulation”. Think about it for a moment and you’ll see that given a choice of spending good money (gold) or bad money (inflating paper) you’d spend the paper and keep the gold as a store of value. So in an economy where economic and political considerations have combined to produce a paper currency running in parallel with gold, and where that currency is showing the early signs of being dangerously expanded in supply, then people will elect to hold on to gold and spend paper. Magnified millions of times by everyday transactions in a typical economy this eventually stops gold circulating as money. For much the same reasons when their time is up paper currencies will pour into circulation as people look to buy hard assets, until eventually the best value you will get from the banknote is to use it as heating fuel. This is the key difference. While paper money forms disappear permanently, and lose all their value, gold disappears temporarily, and retains its value over the very long term. Every few years, and when circumstances are right, gold returns. It has a history of doing so which has lasted those 4,000 years. The trick with gold is to understand the causes for these rolling phases, to recognise them, and to act appropriately. If you own gold at the right time you will own a fast appreciating asset when normal business assets, and money itself, are tumbling in value. Owning gold in good phase is very profitable. In the 5 years after the 1929 crash gold's investment purchasing power rose 17 times. In the decade of the 1970s gold's investment purchasing power rose 15 times. So far in gold's current re-emergence, with the economic situation looking every bit as as hostile as the 30s and the 70s, gold's price has multiplied by about 3 times. By comparison with those previous cycles it is still nearer the bottom than the top. But don't forget gold lost nearly seven eighths of its investment purchasing power between 1980 and 2000. That was during the best period for growing businesses in the twentieth century. That price slide shows that smart investors should not grow too fond of their gold! Even though it's currently pretty grim the time will come when the outlook for business has improved, and most people either will not have realised it, or will still be too nervous to do anything about it. Then it will be smart to sell your gold, and use its purchasing power to invest in people and businesses, and to participate once again in the dynamic creation of wealth. The people who manage to do this will be the smartest of all gold buyers. They are not hoarding gold for its own sake. They are positioning themselves to be able to invest actively in a recovery which is a long way off. By doing this they will be both profiting themselves and serving their communities at the same time. Capital which has not been adequately protected right now will simply not be there to invest in the business opportunities of the future. 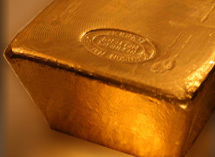 You can learn all about the best ways to buy gold by reading our free guide Ready to Buy Gold. It's on-line, it's free, you don't need to register, and you can read it here right now. We've also collated what we think are some of the most informative articles on the subject you'll find anywhere. BullionVault's own current analysis is an up to date index of gold stories published by BullionVault's own research staff. BullionVault's analyst forum is an up to date and selected collection of work by of the best brains in the gold sector. Don't forget, if you want to buy gold then this is the best way.